First walk of 2017 shut down holidays @Goodall Street Reserve. This reserve is now renamed to Belfast Reserve. Most of this reserve was an eye opening experience. It appeared to be a neglected reserve – first ever that I came across in Auckland till now. Seats and benches were covered with algae, walkways were covered with leaves and gravel and there were too many smelly corners. I hope that it is looked after sooner than later. 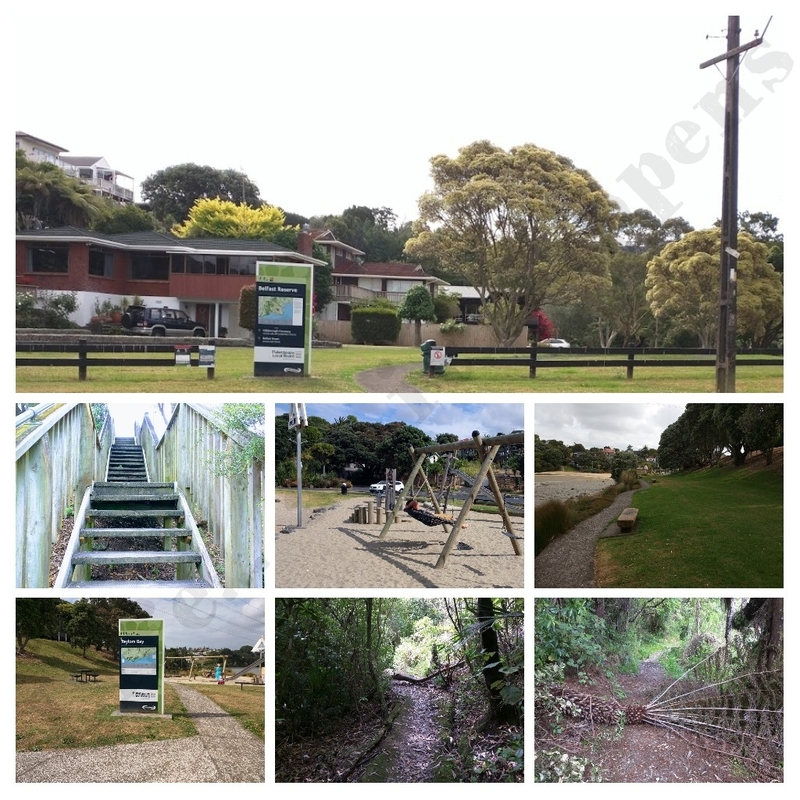 The ending was a good one though towards @Taylors Bay and @Taylors Bay Playground – well maintained and beautiful sea views. Ended the walk @Hillsborough Bay Walkway, a part of @Hillsborough Reserve.